Former CEO of Microsoft, Steve Ballmer is leaving the company after 34 years of service with the business. In January 2014, we saw Ballmer resign as CEO – letting Satya Nadella take over the responsibility of the top job. 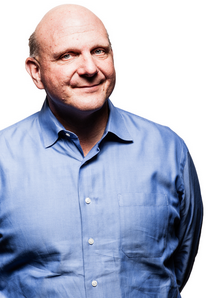 Microsoft announced in a statement today that Steve Ballmer is now resigning from Microsoft’s board of directors as he goes on to pursue other ventures in life. Earlier in May, Steve signed a deal to buy the Los Angeles Clippers Basketball team for around $2 Billion USD. That will surely keep him busy. It is certainly the end of an era now, but the start of an exciting new one too.